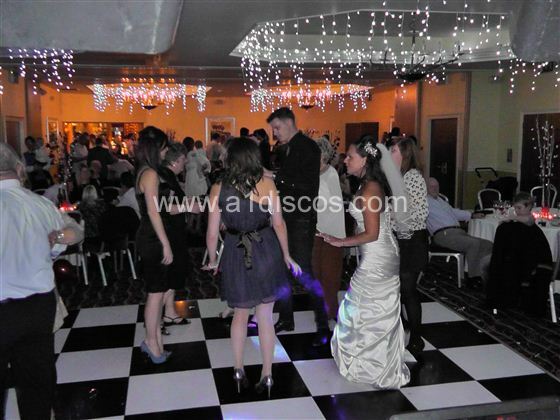 A1 Discos Ltd. work throughout Hertfordshire and have long been regarded “The Wedding Disco Specialists” in Hertfordshire, when it comes to the all-important choice of Wedding DJ Entertainment to round off your Big Day. Firstly, we are not an agency. We will never pass your booking onto someone else, nor will you pay agency fees. 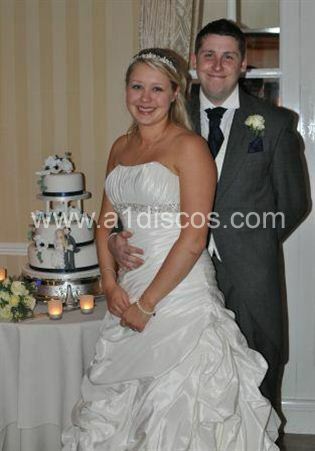 An experienced and punctual Professional Wedding Disc Jockey, suitably dressed for the occasion. 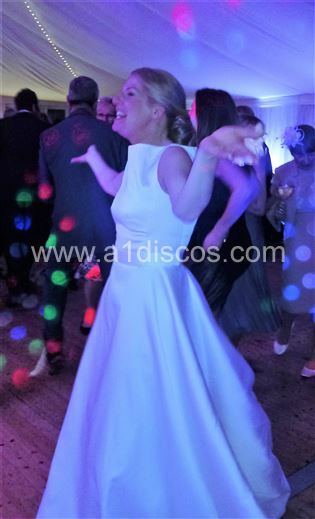 Access to our Online Music Library, with the ability to compile an extensive playlist if you prefer, or simply list your Wedding First Dance and a few favourites, leaving the rest to your DJ. The option to pay for your Wedding Disco in affordable installments. 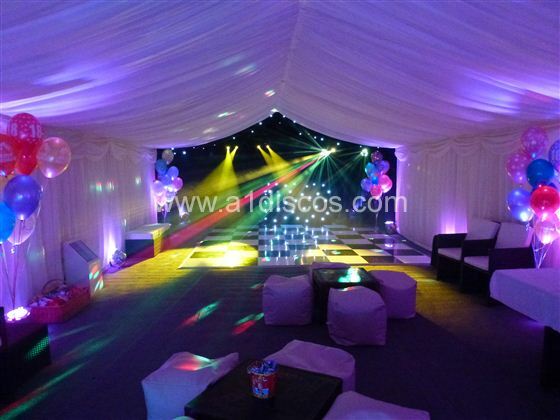 The Peace of Mind and security of dealing with a long established, ISO9001 certified company, with experience of having performed at many wedding venues throughout Hertfordshire. £10m liability insurance cover, all electrical equipment PAT tested annually, generic risk assessment statements available on request. 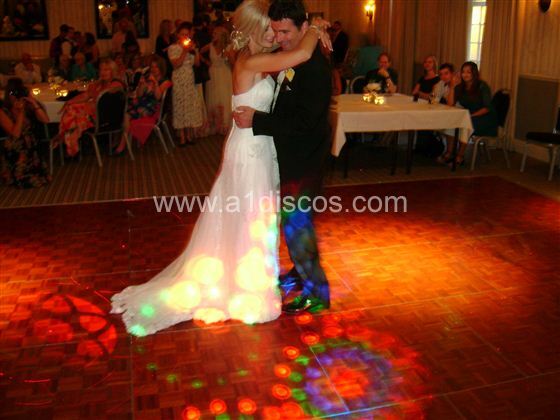 Click here for testimonials from recent newlyweds, to see what they say about our Wedding DJs. If you are planning on holding your wedding reception in a marquee, we have put together this page containing some information which you may find helpful. 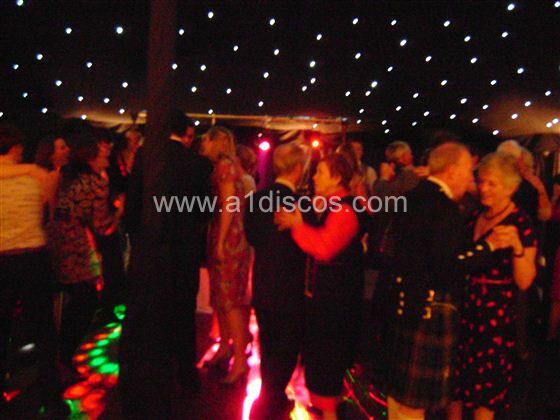 Click here for a quotation and to receive a copy of our Wedding Disco Brochure, free and without obligation. The charming historic clubhouse and beautifully landscaped surroundings make Bushey Hall Golf Club an ideal wedding venue, whether you are having a full wedding, or just a civil ceremony or an evening reception. Enjoy your Wedding Breakfast in the light, airy restaurant, with its spectacular picture windows as a backdrop, seating up to 80 guests. Photographs may be taken amidst the flowers and shrubs, framed by the golf course and fountain, before the Evening Reception, when the lights go down and the music turns up, as your additional evening guests arrive and the buffet is served. 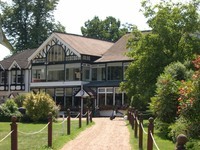 Without doubt, Harpenden House Hotel is a splendid venue for a wedding ceremony and reception. 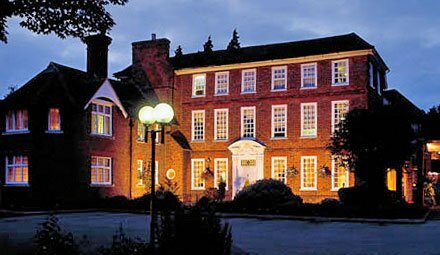 Set in the country Market Town of Harpenden, Harpenden House Hotel is a splendid venue for a wedding ceremony and reception, whether you have 30 or 120 guests, they will ensure that you will be treated with utmost individuality as they only host one wedding per day. As they hold a Civil Wedding License they can also offer you the convenience of holding a ceremony, wedding breakfast and evening reception all in the one perfect location for the convenience for you and your guests. Naturally, you want you’re wedding to be a truly perfect day for you, your partner as well as your family and friends, so let them help you with the planning and preparation. With their experience and attention to detail, they tailor make the perfect day according to your requirements, by taking a flexible approach towards packages and pricing to suit the individual requirements and budgets. Pendley Manor offer idyllic surroundings for the most important day in your life. Outside, the immaculate lawns and landscaped gardens will show you just why this Hertfordshire wedding venue is so sought after. Inside, the traditional reception rooms and elegant banqueting suites provide the ideal setting for your wedding breakfast and other celebrations. Pendley Manor can take care of all the little details that ensure your big day runs smoothly: red carpet on your arrival, fresh floral arrangements, a sumptuous wedding breakfast, champagne, silver cake stand and knife and of course, luxury overnight accommodation for yourself and your partner. 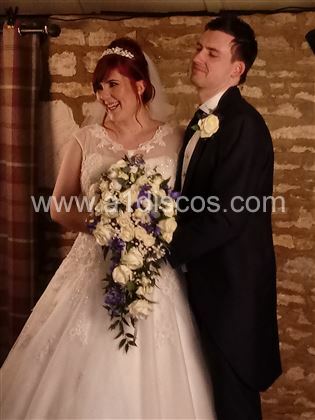 The Bride and Groom should take centre stage on their special day and it is the goal of Shendish Manor to see your wedding day dreams are fulfilled. Providing the perfect setting for your wedding or civil partnership, the exquisite grounds and breathtaking architecture inspire romance and anticipation of what’s to come... Their beautiful gazebo in the grounds of the estate is licensed for civil ceremonies for up to 120 guests, while one of their stunning banqueting suites are licensed for up to 350 guests. Their wedding venue is unique, and they understand that you will want your day to be unique too. Their knowledgeable team of Wedding Co-ordinators will guide and assist you with your planning to ensure just that, and on the day itself, you will have an experienced manager dedicated to running your wedding so that the day is everything you could have wished for and more. 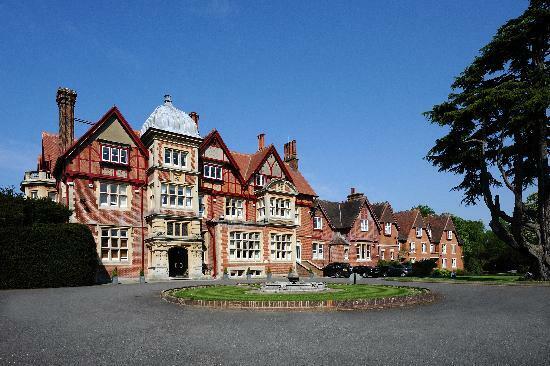 Whether you desire a small, intimate affair or lavish celebration on a grand scale, Shendish Manor has a room to suit. Tewin Bury Farm provides the perfect setting for a wedding or celebration in Hertfordshire, with a host of unique and beautiful venues in great locations. They will help you make your wedding day very special! Their 17th century farmhouse with its converted farm buildings is surrounded by idyllic Hertfordshire countryside, providing a series of spectacular settings for your perfect day. From small and intimate celebrations to huge and glamorous weddings, Hertfordshire's Tewin Bury Farm offers 4 function rooms - each with its own beautiful garden – to assure you of an ideal setting and backdrop for a day to remember. The river Mimram weaving through their glorious grounds gives added charm to the surroundings and provides plenty of stunning photographic opportunities. All of their venues are licensed for Civil Wedding Ceremonies & Civil Partnerships. Our Djs have also compiled these other Top 20 charts for you. Please have a look at all our charts compiled from thousands of tracks over the years. Please note our music back catalogue consists of over 20,000+ tracks!. Like our site or recommend us to a friend.